I’m sure I’ll get into the World Cup of Hockey when it starts up for real in a few days. But September is for baseball and pennant races! Of course I wish that the Blue Jays were doing better than 3-and-8 this month, but I’m trying to remember that for years (decades!) before last season, all I wanted was meaningful games in September. And, well, we’ve certainly got that now. 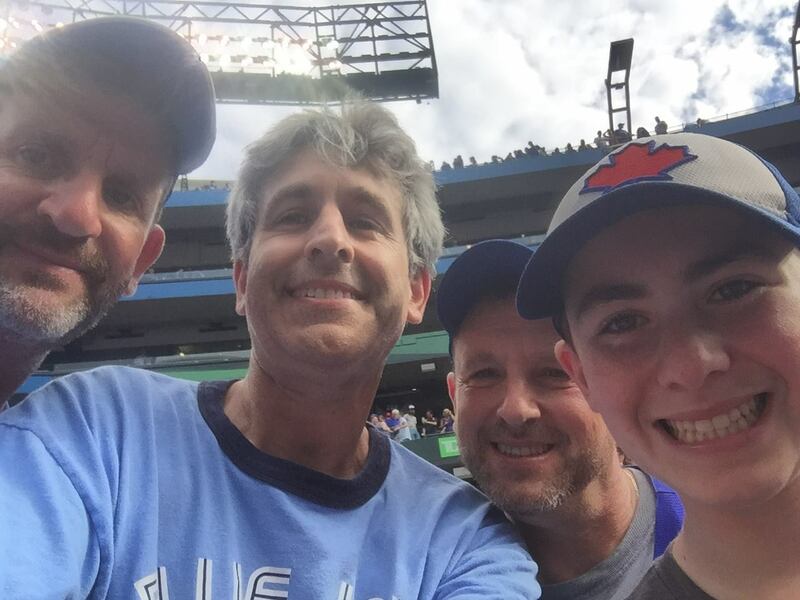 I was at the Blue Jays-Red Sox game on Saturday (the good one, that we won 3-2) with my two brothers and my nephew. Jorey is 13 now, and pretty much exactly like his father and uncles were at that age. At one point during the game, he wondered if any of us knew who was likely to be the next player to reach 3,000 career hits early next season. We didn’t. Once upon a time, I’m sure I would have known that immediately. These days, of course, I could look it up with a few taps and swipes on my phone (which I’ve since done – though on my laptop). It’s funny how, now that it’s so easy to know this stuff if you want to, I don’t know it anymore. 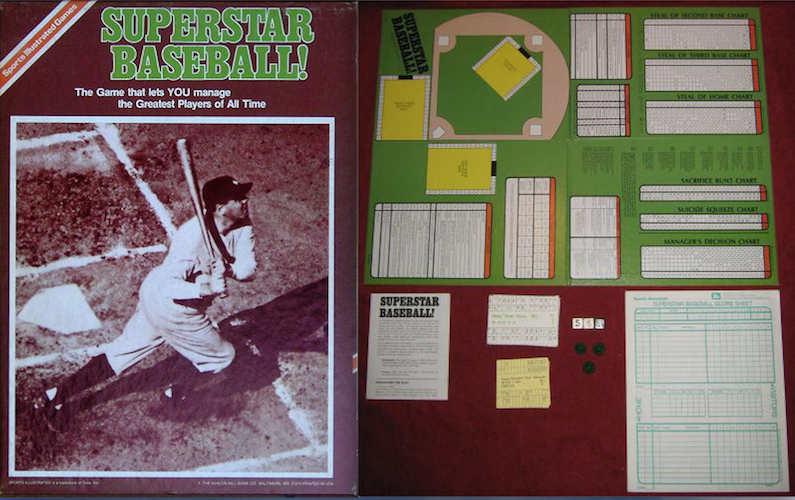 Back in the old days, when I had to study the all-time lists in the annual preseason Street & Smith’s Baseball Magazine and then, basically, keep it in my head all season, I pretty much did. Now I don’t. So, any idea who, as of last night’s game, got his 2,926th hit (and 443 home run, by the way)? I’ll put the answer in at the bottom of this story … and I’ll be curious to hear from anybody who can tell me they honestly knew it without looking it up! Jorey also asked us who, in 40 seasons as Blue Jays fans, is the greatest player we’ve ever seen. We threw out a lot of names, and then finally decided it was probably Ken Griffey Jr. But good as he was, Griffey never really won anything. So I was wondering if, maybe, given all he did on the largest stage, the greatest player was Reggie Jackson. All those “Mr. October” moments definitely made an impression on me when I was Jorey’s age. That being said, I never liked Reggie Jackson. (I know I’m not alone there.) He was just too pompous and arrogant. But I do have one good Reggie Jackson story from my days on the Blue Jays ground crew. 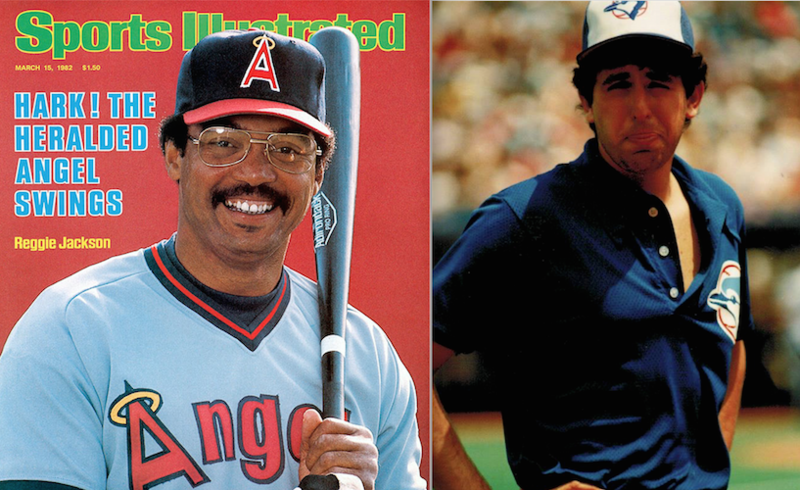 During the early summer of 1983, when the Jays were first becoming contenders, the California Angels were in town. On this Saturday (June 18), Jim Clancy had pitched seven strong innings but surrendered our tight, 3-2 lead when he gave up back-to-back doubles leading off the top of the eighth. Joey McLaughlin came in, put a couple more guys on, but got out of trouble. The Jays then took back the lead with three runs in the bottom of the eighth, highlighted by a two-run home run from Lloyd Moseby. But the Angels weren’t done. Bobby Grich led off the ninth with a homer and then, with two out, Rod Carew and Juan Beniquez singled, bringing Reggie Jackson to the plate. Bobby Cox went to the bullpen for a lefty – rookie Stan Clarke, who’d made his Major League debut just 11 days before. Clarke quickly jumped ahead 0-2. In my memory, you could literally see Clarke shaking with the excitement of it. Almost laughing that he’d actually gotten Reggie Jackson to foul off a couple of pitches and was going to strike him out and save the game. Reggie slugged the next pitch for a three-run homer, and glared at Clarke as he rounded the bases. He’d seen the young lefty shaking too. “I just wondered what he was doing when he was pounding his glove and jumping up and down after the first two strikes,” said Reggie after the game. but I would only have fallen as far as the bottom red line. He didn’t say anything. Just nodded and smiled a self-satisfied smile. Stupid Reggie! Oh, and the answer to Jorey’s question: It’s Adrian Beltre. Narrated by Kevin Costner, filmmaker Jonathan Hock (who directed the ESPN 30 for 30 episode about The Miracle on Ice, among his many credits) uses an impressive cast of baseball Hall of Famers to discuss the fastest pitchers of all time. 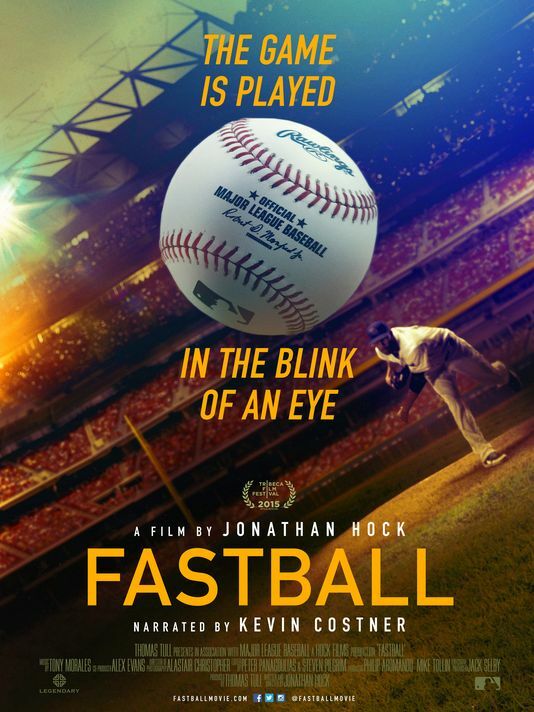 The film also explains the science of how someone can throw the ball at the very upper limits of human mechanics, and how someone else can still manage to hit a pitch whose speed is at the very edge of how quickly a human being can physically see and react. Fascinating! Plenty of today’s fastest pitchers are featured, and there’s also the sad story of 1960s minor league phenom Steve Dalkowski, who could never master his control. But the movie goes all the way back to Walter Johnson, who pitched 20 years in the Majors from 1907 to 1927 with the Washington Senators. Virtually everyone of his era agreed that Walter Johnson was the fastest pitcher they had ever seen. As early as 1912, his speed was measures scientifically by the U.S. Army … who tracked him at 122 feet per second. That was considered astonishing at the time, but it works out to only 83.2 miles per hour – which struck me as pretty disappointing for such a legendary fastballer. But more on that in a bit. When Bob Feller burst on the scene 80 years ago this summer as a 17-year-old phenom, he quickly became the new fastball king. Could he throw harder than Walter Johnson? 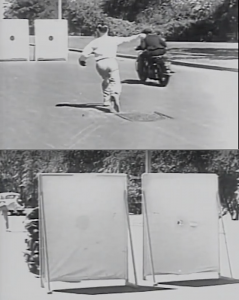 Perhaps you’ve seen the old film clips of Feller firing his fastball alongside a speeding motorcycle doing 86 miles per hour, but Feller was also given a more scientific rating by the U.S. Military. In 1946, his speed was determined to be 98.6 miles per hour. Now that’s more like it! Feller had begun his career at about the same time that Jesse Owens won the 100 meters at the 1936 Berlin Olympics in a time of 10.3 seconds. The current world record of 9.58 seconds was set by Usain Bolt in 2009. The film points out that if fastballs had improved at a similar rate, there would be dozens of guys throwing 120 miles per hour these days. But, of course, there aren’t. In 1974, Nolan Ryan became the first pitcher to be clocked while he was pitching in an actual game. Radar tracked him at 100.8 miles per hour in 1974 — making him the fastest pitcher ever. Aroldis Chapman currently has that distinction, hitting 105.1 mph in 2010 and again just recently on July 18. But here’s where the measurements get interesting. Back in 1912, Walter Johnson’s 83.2 pitch was clocked about 7.5 feet beyond the 60-foot-6-inch distance from the mound to home plate. Feller’s pitch was timed just in front of home plate, and Ryan’s at about 10 feet in front. Today’s modern radar guns record the speed of a pitch at about 10 feet from the pitcher’s hand … some 40 to 58 feet prior to where Johnson, Feller and Ryan were measured. It might not sound like a lot, but any extra distance allows gravity to slow down the speed of the ball as it moves through the air. Making adjustments for the different distances (1 mile per hour for every 5.5 feet, says the science guy), Walter Johnson’s fastball jumps from 83.2 to 93.8 miles per hour. That’s a little more like it! Feller’s 98.6 improves to an incredible 107.6 mph. And Nolan Ryan? He clocks in at 108.5. So take that, modern flamethrowers! 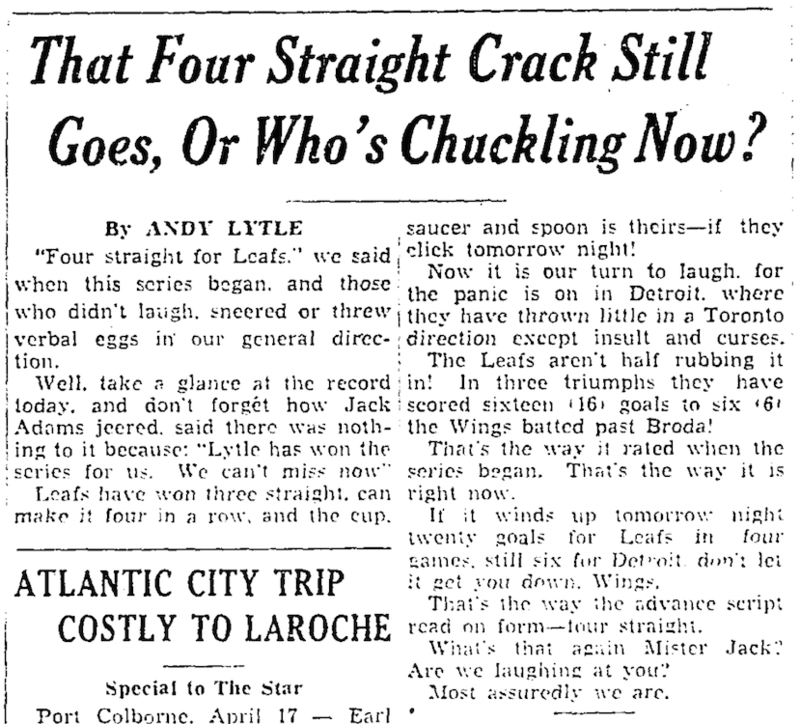 Seventy-five years ago this summer, Major League Baseball witnessed two extraordinary feats. 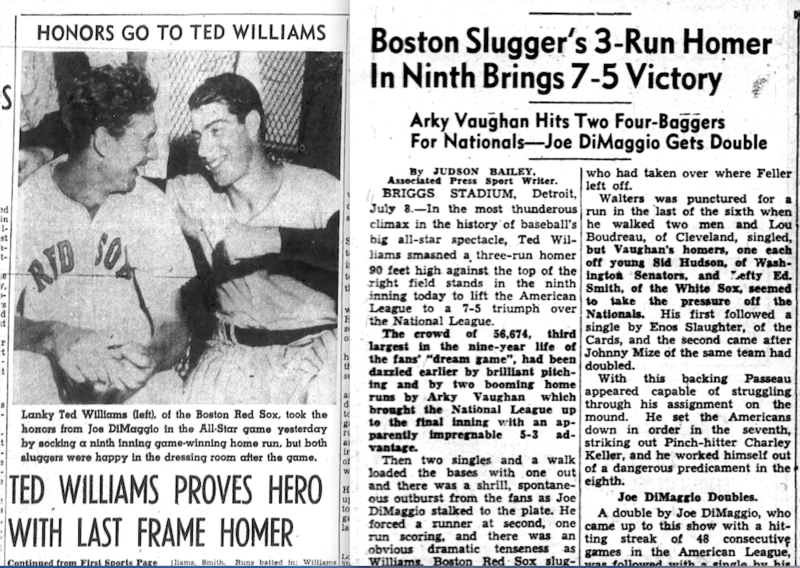 Ted Williams (who was in only his third season, and didn’t turn 23 until August 30) became the last player to hit .400, while Joe DiMaggio (in his sixth season and 26 years old) set a record that is unlikely to be broken with his 56-game hitting streak. 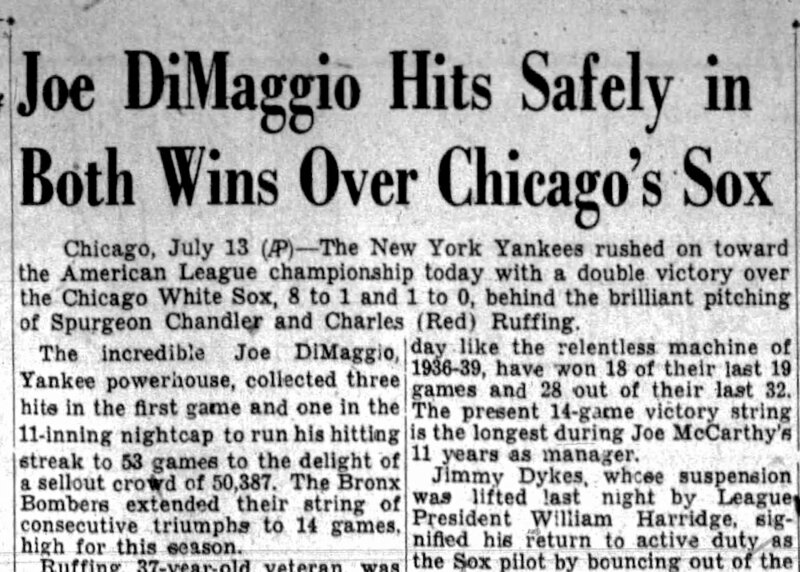 On this day, July 13, 1941, (a Sunday) DiMaggio got hits in both halves of a double header, collecting three hits in the opener and one in the night cap, as the New York Yankees swept the White Sox in Chicago. A crowd of 50,387 – the largest at Comisky Park in six years – saw The Yankee Clipper run his streak to 53 games. He was batting .369 for the season. The Red Sox also played a double header that day, but Ted Williams wasn’t in the lineup. He’d injured his ankle in Detroit the day before, and missed the twinbill in Cleveland. Williams was actually slumping at the time. Having gone above .400 on May 25, and reaching a high of .436 on June 6, The Splendid Splinter needed four hits in eight a bats in a doubleheader on July 6 to reach the All-Star break still above .400 at .405. Two days later, he hit a dramatic three-run home run with two out in the bottom of the ninth to give the American League a 7-5 victory over the National League in the All-Star Game at Detroit. Coming off of that high, Williams went 0-for-4 in a 10-2 Red Sox victory over the Tigers when the season resumed on July 11. That dropped his average to .398. He fell to .397 after going 0-for-1 on July 12 … although he did draw three walks in that one. The ankle injury he suffered that day kept Williams sidelined until July 16, when he went 0-for-1 as a pinch hitter. Then he sat again until July 19, when he pinch hit in both halves of a doubleheader, going 0-for-1 with a walk and watching his average fall to .393. That was as low as he would go. After singling as a pinch hitter on July 20, Williams returned to the Red Sox outfield on July 22. He had seven hits in 15 at-bats over the next four games to get back to .400 on July 25. Williams never fell below .400 again, famously entering the final day of the season on September 28, 1941, with a .39955 average but refusing to sit out to protect a mark that would have rounded up to .400. He had six hits in eight at-bats in a doubleheader against the Philadelphia A’s that day and ended the season at .406. Ted Williams also led the AL with 37 home runs in 1941, while his 120 RBIs ranked him fourth. DiMaggio finished the season third in batting at .357, fourth in homers with 30, and first in RBIs with 125. The Yankees finished the season in first place with a record of 101-53, which had them 17 games ahead of the Red Sox, who were second at 84-70. DiMaggio edged out Williams in MVP voting (the second of three times he’d win the award in his career), and the Yankees went on to beat the Brooklyn Dodgers to win the World Series. 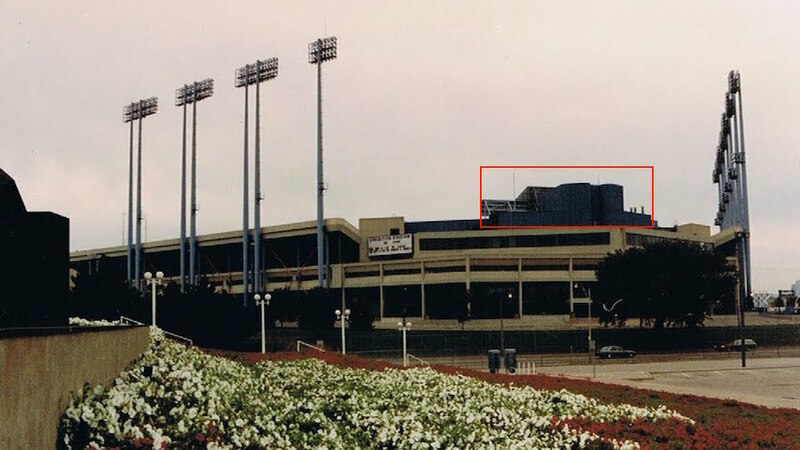 For a building I never set foot in (the team played its last game there shortly before I turned four) and can’t even remember seeing (it was torn down just a few months later), Maple Leaf Stadium has had a big impact on my life. It’s the place that helped create the love of sports in my mother and father (and my aunts, uncles, and older cousins) that’s been passed down to me and my brothers and on to a new generation. Certainly my parents saw a lot more baseball games at Maple Leaf Stadium than they ever saw hockey games at Maple Leaf Gardens. 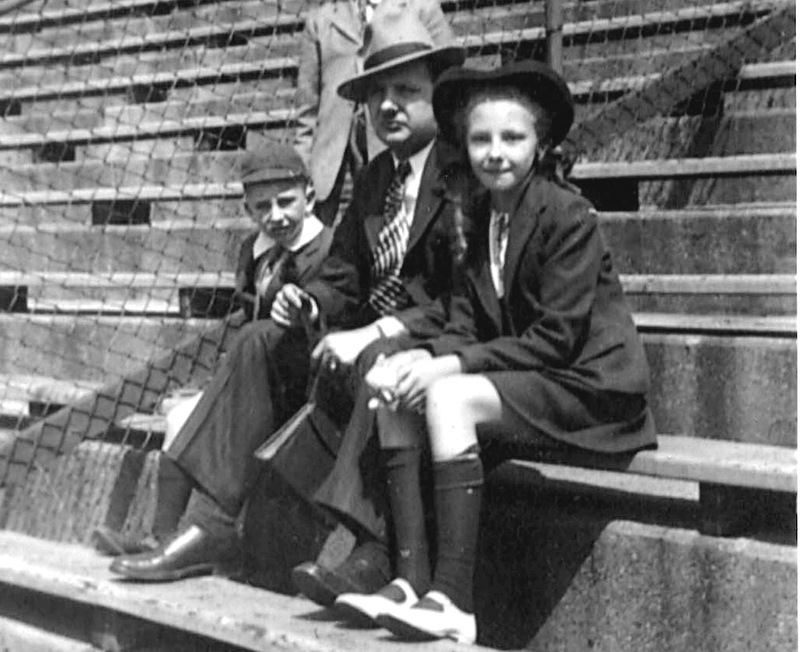 I know my father’s childhood heroes were Teeder Kennedy and Max Bentley, but he was a big baseball fan too. 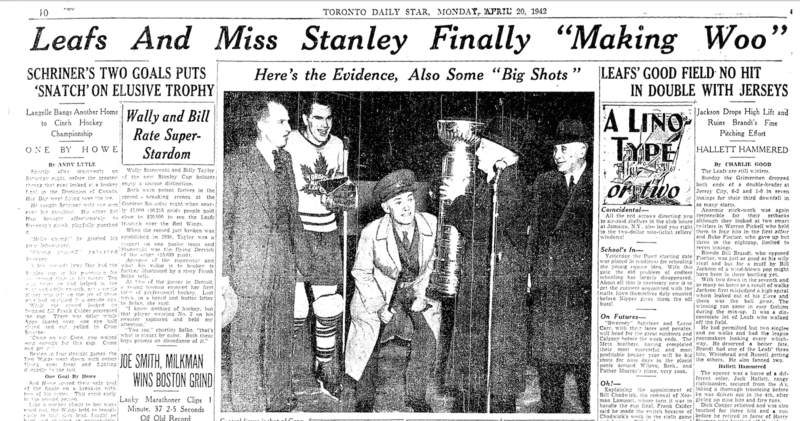 And my mother LOVED the baseball Maple Leafs (in particular Ed Stevens during the mid 1950s). She still loves baseball and she’s the reason we still have the season’s tickets to the Blue Jays we’ve had since the moment they went on sale before the first season in 1977.
is Maple Leaf Stadium (but I think it might be Varsity Stadium). The Blue Jays are celebrating their 40th season this year, but it was 90 years ago this week that Maple Leaf Stadium opened. Previously (since 1897), the baseball Maple Leafs had played at Hanlan’s Point on the Toronto Islands. Babe Ruth hit his first pro home run there, but it wasn’t the easiest place to get to. 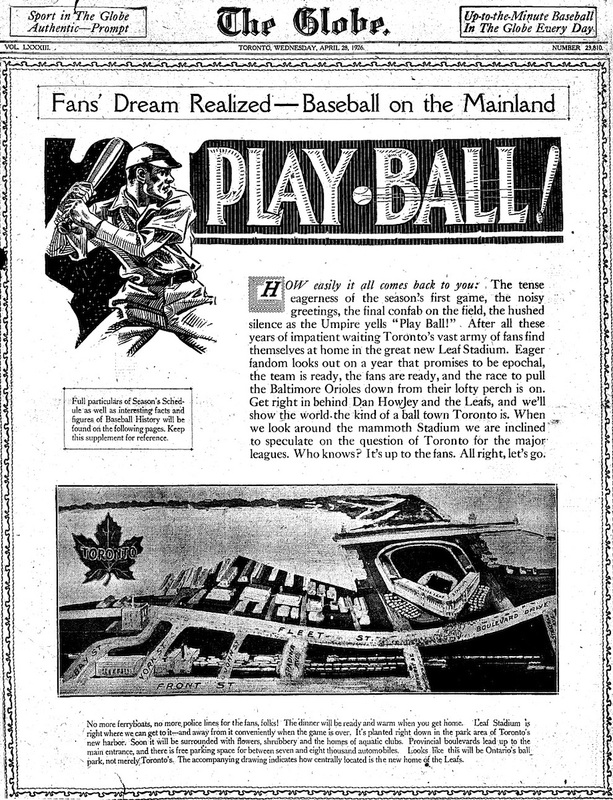 “After years of hope deferred,” wrote Toronto Globe Sports Editor Frederick Wilson on September 5, 1925, “the baseball fans of Toronto are to see their dreams come true, and next season the Leafs will play their games in a magnificent $300,000 stadium on the mainland at the foot of Bathurst Street.” The geographic center of the city at the time, explained Wilson, was “at a point on Harbord Street, about one hundred feet west of Bathurst,” so – forgive me if you don’t know Toronto geography! – the new site was certainly more accessible than the Island. This was the front page of an 18-page supplement The Globe ran on April 28, 1926. Work on the grounds at Bathurst and Fleet Street (very close to what is now the Tip Top Tailor lofts near the Canadian National Exhibition grounds) began in October of 1925, and construction on the stadium began in earnest on December 2. 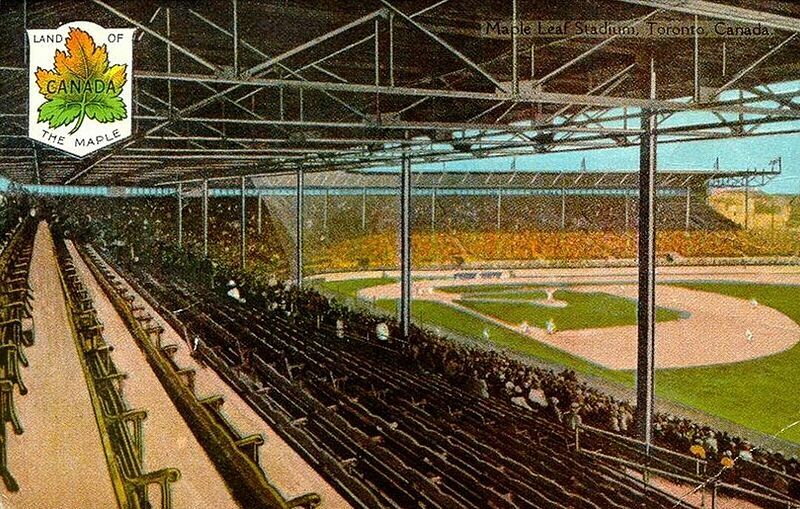 Though it wouldn’t be completely finished at the time, Opening Day was scheduled for April 28, 1926, after the team had spent the first two weeks of the season on the road. Sadly, it seems, the weather has not been very cooperative for the opening of Toronto baseball stadiums. The Blue Jays played at Exhibition Stadium on April 7, 1977, despite snow and freezing temperatures, and while the elements weren’t a factor in the first game at SkyDome on June 5, 1989, it was pouring rain during the official opening gala two nights earlier when organizers insisted on opening the roof anyway! Wikipedia claims this photo is in the public domain! Credit is to the Bibliotheque et Archives nationals du Quebec, P547,S1,SS1,SSS8,D1. Many dignitaries were in Toronto for the 1926 opener, including baseball commissioner Judge Kenesaw Mountain Landis, who was given a pregame tour of the facility. “Absolutely nothing forgotten over overlooked,” Frederick Wilson quoted him as saying. “[It’s] as near perfection as it is possible to have a baseball park.” But unlike the SkyDome/Rogers Centre, it didn’t have a roof! Cold temperatures and heavy rains postponed the opener. 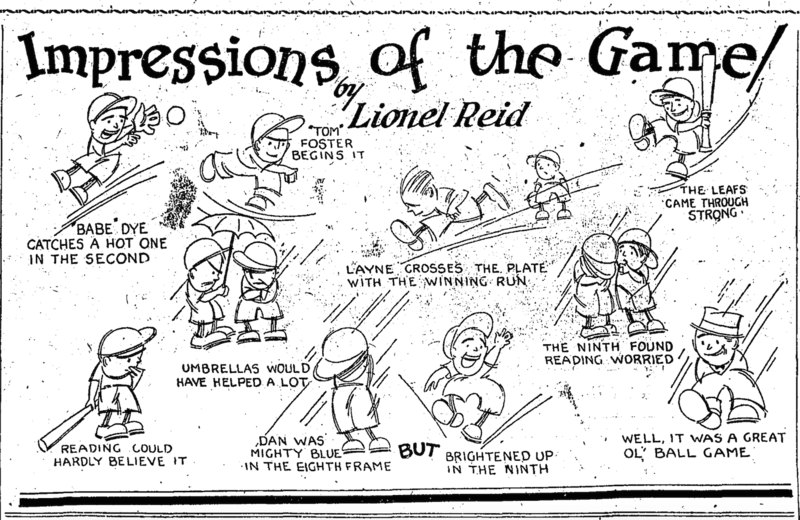 From The Globe , Toronto, April 30, 1926. When it was built in 1925-26, state-of-the-art Maple Leaf Stadium was constructed with an eye towards housing a future Major League team. By the 1960s, Jack Kent Cooke – who then owned the baseball Maple Leafs – felt a brand new park was needed to attract the Majors, but he couldn’t convince City Council to cover the costs. The end was near. Attendance was awful despite championship seasons in 1965 and 1966, and the team was sold and transferred to Louisville after the 1967 season. The Stadium was torn down in the spring of 1968. Only the memories remain – even for those of us who inherited them. 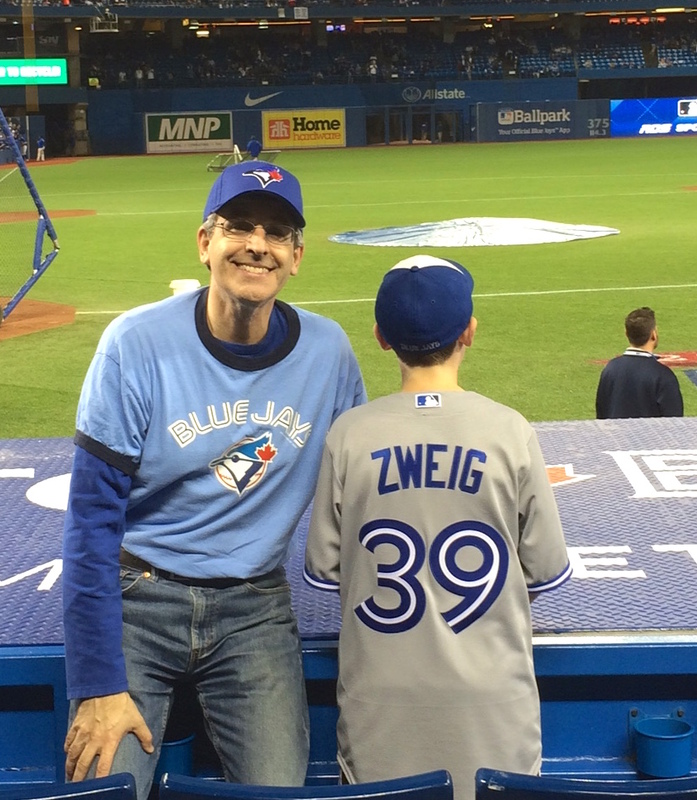 I was at the Blue Jays’ home opener on Friday. As I no longer live in Toronto, I don’t get to many games anymore, but Opening Day is something special. Forget about Christmas, early April, when spring is supposed to be springing, baseball is getting started, and the hockey playoffs are here… THAT’S the most wonderful time of the year! makeup game for the rained out opener in 1980. Baseball, of course, is a game bound by tradition. And I am a big fan of sports history. But while I admit that I’ve been known to complain that “the game [ANY game] was better when I was younger,” I wouldn’t say I’m truly a traditionalist. I don’t mind modern innovations … but I have to admit that instant replay irks me. Yes, it’s pretty hard to argue against “getting the call right,” but as others have argued before me, there are rules, and then there is the spirit of the rule. Of course a runner can’t wander off the base with impunity, but is he really supposed to be out if his foot pops off the bag for a fraction of a second? And I really hate the way, in baseball, they linger and waste time while the clubhouse pre-checks the replays first. If you want to challenge a play, I think you should have to challenge it based on what you think you actually saw! After all, that’s how the umpire has to call it. As I said, it’s hard to argue against getting the call right — and, of course, Armando Galarraga SHOULD have had that perfect game in 2010, and Derek Jeter probably should have been out for fan interference on that Jeffrey Maier home run in 1996. Still, what can I say? The delays (and the fact that they still don’t seem to get the call right every time!) just bother me. Ten years before the first Blue Jays opener, in the last game of the NHL regular season in 1967, Chicago’s Stan Mikita picked up two assists to finish the season as the scoring leader with 97 points. 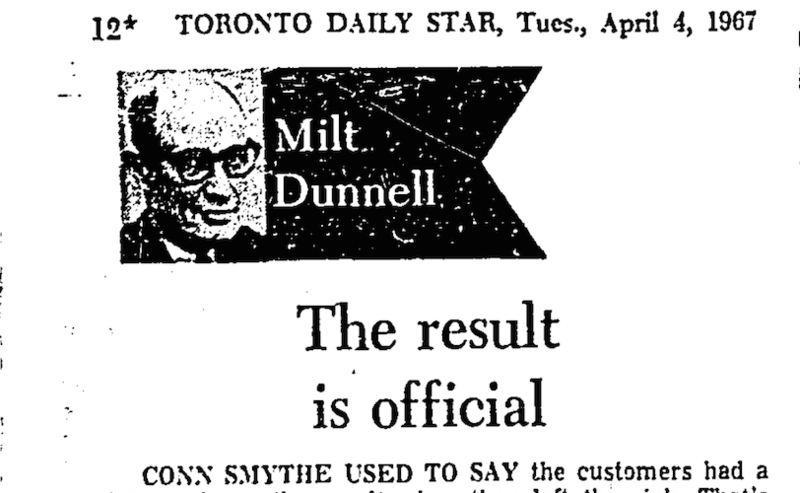 That happened to tie teammate Bobby Hull’s single-season scoring record … but Mikita thought he’d earned a third assist in the Black Hawks’ finale against the New York Rangers. Official scorer Lamie Crovat promised, “I’m going to study a video-tape of the goal in the Madison Square Garden office on Monday and make a final determination.” Reay snapped back, wondering, “Why doesn’t he (Crovat) keep his eyes on the ice instead of the tape?” And it soon became clear that the NHL had no interest in what a video review might show. Around these parts, winter has been nothing like the long, tough slog it’s been the past two years. Then again, the forecast is for a big blizzard tomorrow! So, it’s always a good feeling to know that pitchers and catchers have reported to Spring Training. It means summer can’t be too far away. 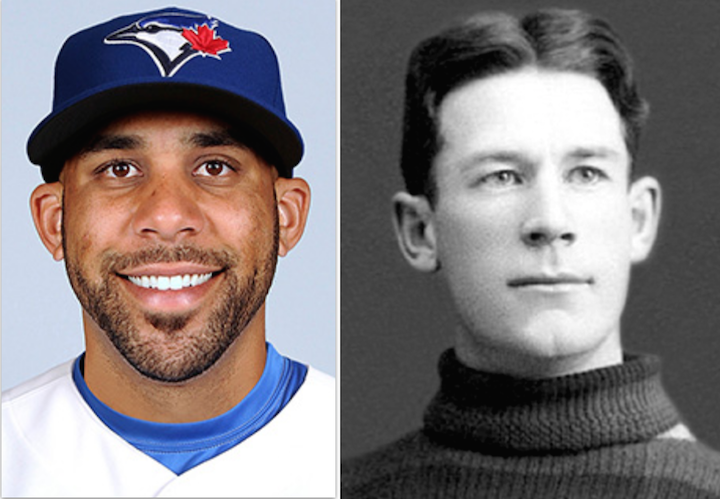 Last January, I posted a story called Hockey Stars Join Baseball’s Maple Leafs. Today’s post continues the story of Babe Dye and Lionel Conacher. 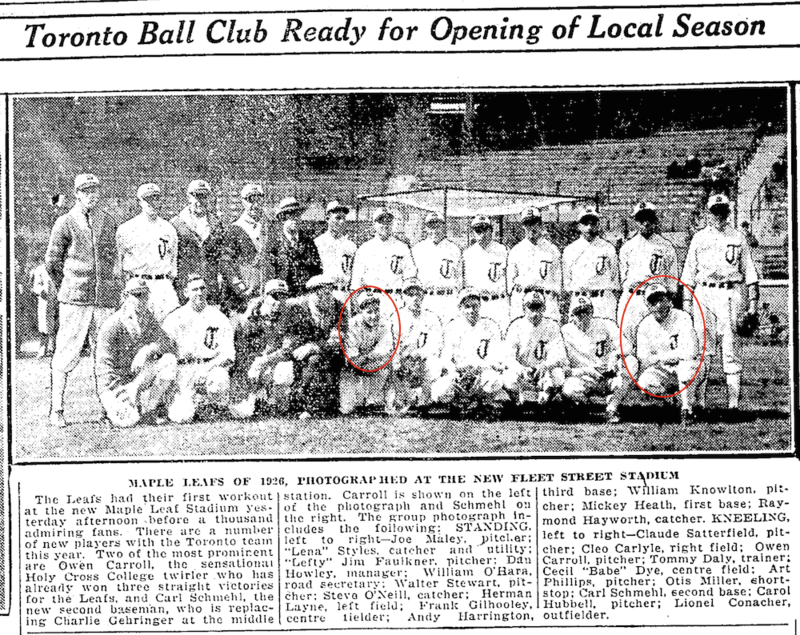 Seasons started later in 1926 (the Maple Leafs opened on April 14 that year), but spring training was already in the news by this week in February. 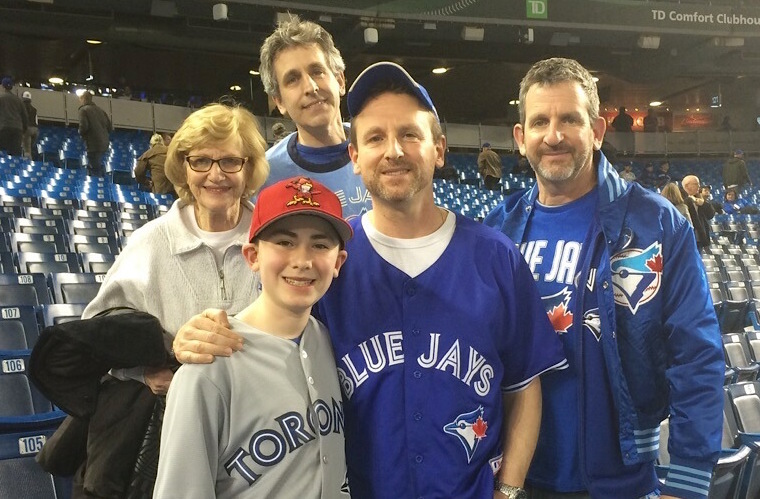 Even so, Toronto’s baseball team wouldn’t actually get down to business until about March 10. At that point, there was still a week to go in the NHL season. 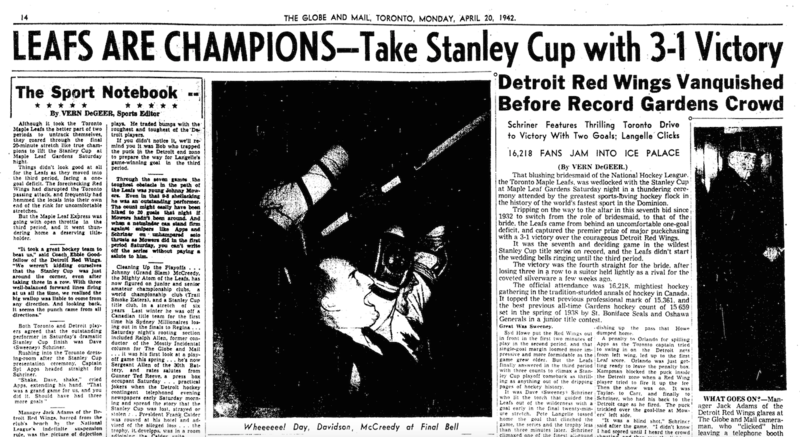 When it wrapped up on March 17, Babe Dye’s Toronto St. Pats had missed the playoffs, but Lionel Conacher’s Pittsburgh Pirates qualified for a semifinal series against the eventual Stanley Cup champion Montreal Maroons. Dye finally showed up at the Maple Leafs’ Augusta, Georgia, training camp on March 29. Conacher didn’t report until April 6. Dye had only had one hit in 18 at-bats before that day, but suddenly went 5-for-6 with a pair of doubles. Conacher was in uniform the next day, taking batting and fielding practice with the team. 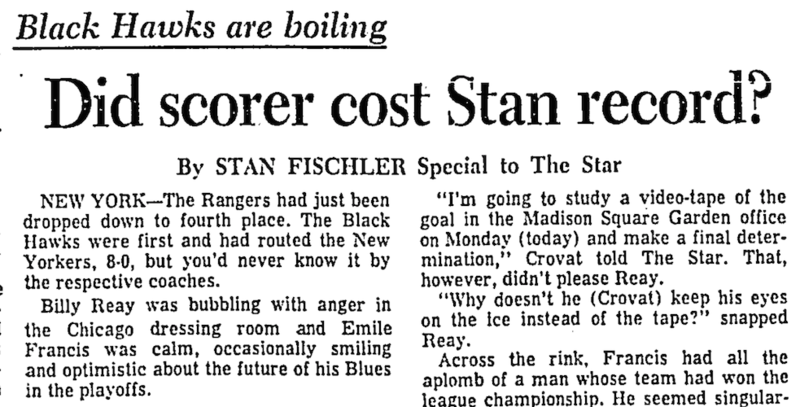 As noted in my story last year, Conacher was a great all-around athlete. He was best known as a lacrosse and football player but had made himself into a fine hockey player too. He’d been a good amateur ballplayer in Toronto, but hadn’t really played the game in three years! Still, “Manager Howley feels confident that the Toronto boy will develop into a good outfielder,” reported the Globe on April 7. 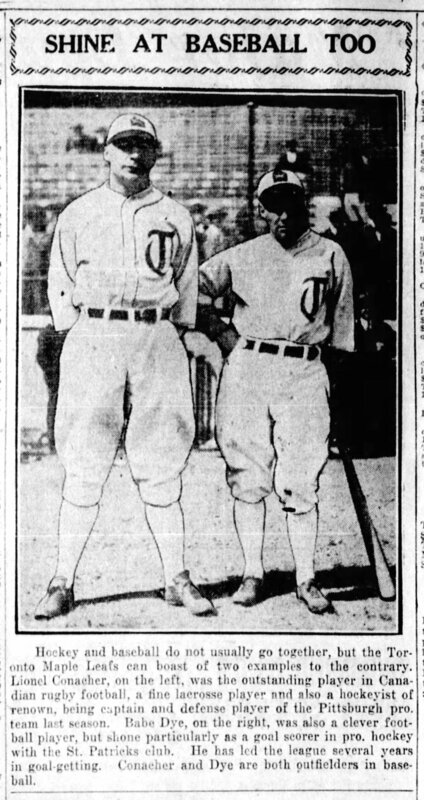 Conacher was put into his first game the next day, and recorded his first hit, first run (the game-winner, in fact) and first putout as a professional baseball player in a 9-8 Toronto win over a team from Richmond, Virginia. 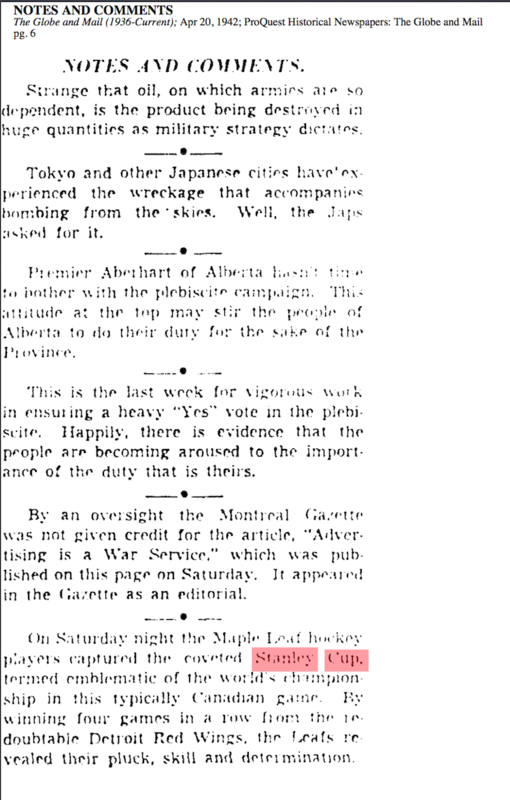 This photo appeared in the Winnipeg Tribune on June 14, 1926. Both Dye and Conacher broke camp with the team, though neither played in the season-opening 8-2 win over Reading on April 14. Dye was a proven minor-league star, and was played up in the publicity to promote Toronto’s home opener at the brand new Maple Leaf Stadium on April 28 … but as also noted in my story last year, neither hockey star contributed much to what would be a championship season for the baseball Maple Leafs in 1926. With the Blue Jays set to mark their 40th season this year, I for one think it would be cool to seem them wear the 1926 Maple Leafs uniform as a throwback nod to the 90th anniversary of the old ballpark at the foot of Bathurst Street. For some even better photographs of the uniforms, check out this web site. I wish the Blue Jays had signed David Price. I’d love to have him back. Still, $217 million over seven years seems like too much money for too long a time. So, I’d like to take Mark Shapiro at his word that the $31 million per season will be better spent filling the various spots that still need addressing. It’s not that I doubt Shapiro’s integrity … but I don’t trust Rogers. My guess is they learned nothing from last season – “If you build it, they will come”, not “If everything goes perfectly, we might win” – and will put most of that money into their pockets while jacking up ticket prices (which they’ve already done!) and cable rates. I admit I’m conflicted by the huge salaries in sports. On the one hand, if there really is that kind of money to be made, I like to see the players getting their share. On the other hand, the older I get the harder it is for me to cheer for people making five times as much money for every single game they play (and starting pitchers like Price watch four out of every five of those games!) as I’m earning in an entire year. But the truth is, no matter how much money is involved, fans and/or the media have always been angered by player salaries since the days they started getting paid. Professional baseball in the United States dates all the way back to the mid 1860s. 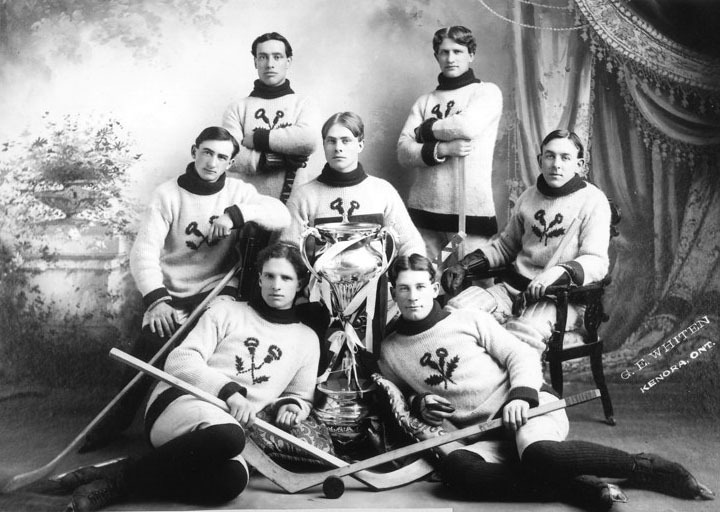 Pro hockey in Canada didn’t get started until the winter of 1906-07 when two of the country’s top leagues decided they would allow professional athletes play alongside of amateurs. This was quite the controversy in its day, and by the 1907-08 season people were already expressing amazement, if not quite outrage, at what the top stars were earning. In all, Phillips earned about $1,800 for a little more than two months, and the paper compared his take to the $7,500 Napoleon Lajoie had been paid to play for the Cleveland Indians for a season of five months numbering approximately 154 games. 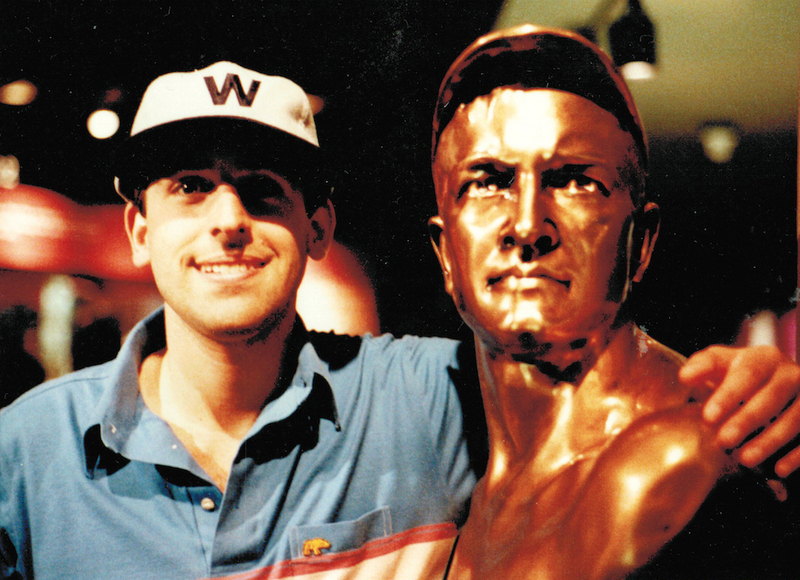 “Getting down to real figures, Lajoie received about $49 every time he went on the diamond. 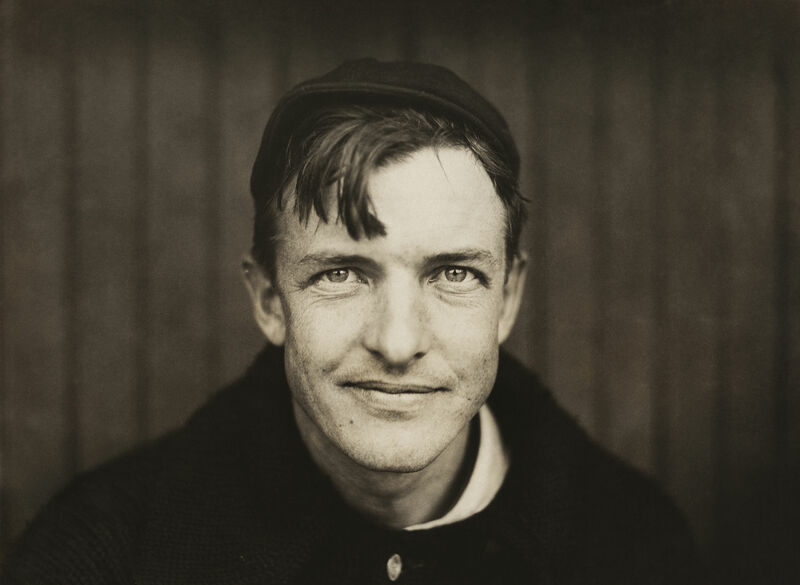 Phillips practically cost his club … $180 ever time he went out to play a league game.” The hockey star, it was said, “would have received the stupendous sum of $17,720” if his season had as many games as a baseball season. But the numbers were about to become even more outrageous! 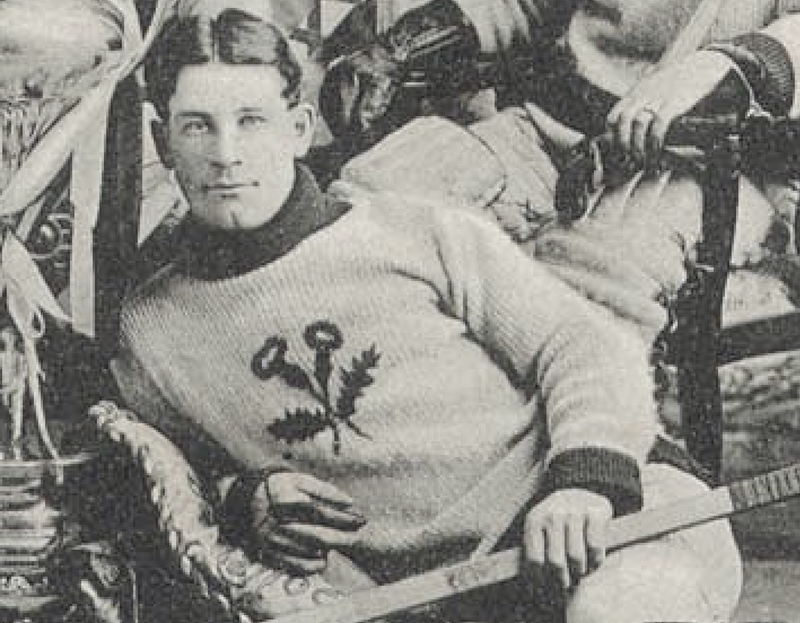 On the same day the Vancouver paper reported that Phillips had turned down the $2,000 offer from Ottawa came news that he had agreed to join Edmonton for its two-game, preseason Stanley Cup series against the Montreal Wanderers at the end of December, 1908. It was soon learned that Phillips was promised $300 per game plus a bonus of $200 if the challengers beat the defending champions. The paper went on to explain that the highest-paid person in Canada was the Governor-General (by coincidence, Lord Grey, whom I wrote about two weeks ago) with an annual stipend of $50,000. That was broken down as $5.80 per hour for every hour of every day for an entire year … which meant Tom Phillips was to be paid more per minute by Edmonton to play hockey than Lord Grey made in an hour. Sixty-nine times more to be exact. At that rate, the World reported that he would make just over $3.4 million in a year. “Pierpont Morgan, John Rockefeller and Andrew Carnegie had better look out,” the paper mocked. As it happened, Edmonton lost the Stanley Cup series. Phillips played the entire 60 minutes of the first game despite breaking his ankle partway through it. He had to sit out game two. It’s unclear if he actually received the full $600 or just $300 for his one game. Whatever Phillips got, it paled in comparison to what another Canadian athlete earned at virtually the same time. On December 26, 1908, world heavyweight boxing champion Tommy Burns of Hanover, Ontario, was paid $30,000 to fight Jack Johnson in Sydney, Australia. The fight lasted 40 minutes, meaning Burns earned almost as much as per minute ($750) as Phillips could have potentially made in both games for Edmonton. 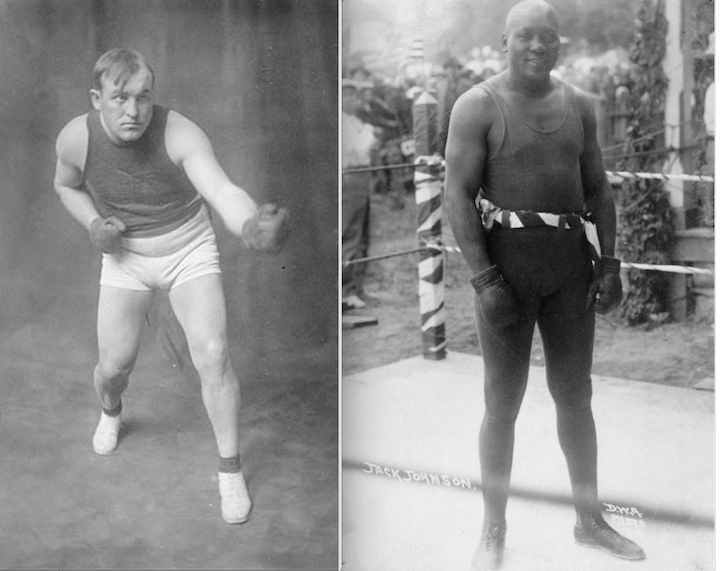 Johnson – the controversial African-American whom many other white boxers refused to face – was paid $5,000 and won the fight.